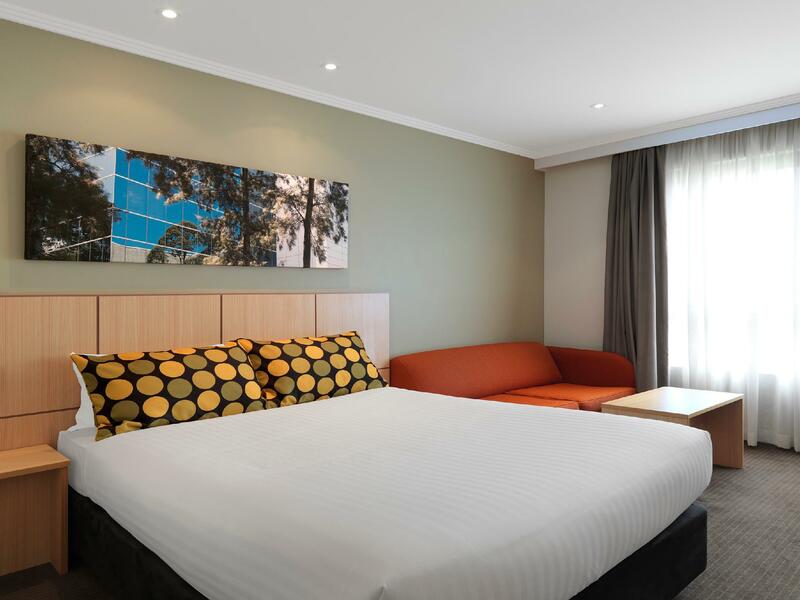 إذا كنت تبحث عن عقار بموقع جيد في المدينة، فقد وجدت ضالتك في Travelodge Hotel Bankstown Sydney. يمكن من هنا للضيوف الاستمتاع بسهولة الوصول إلى كل ما تقدمه هذه المدينة النابضة بالحياة. كما يمكن الوصول بسهولة إلى عدة معالم سياحية قريبة. 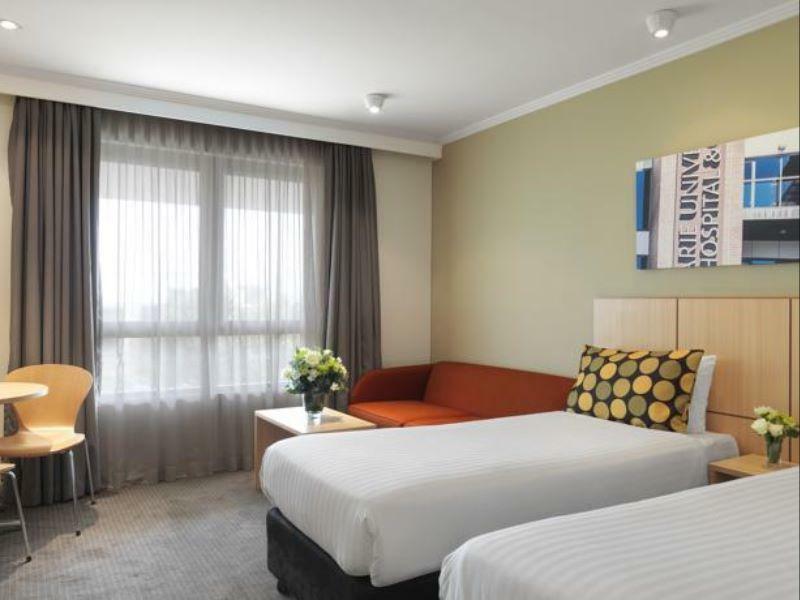 يعرف TFE Hotels بالمستوى الراقي لخدماته ولباقة موظفيه، وهذا ما ستجده في Travelodge Hotel Bankstown Sydney. هذه بعض الخدمات الموجودة في هذا الفندق: واي فاي مجاني في جميع الغرف, كازينو, مرافق مخصصة لذوي الاحتياجات الخاصة, تخزين الأمتعة, صف السيارات. بالإضافة لهذا، تتضمن كل غرف الضيوف مجموعة واسعة من وسائل الراحة . بعض الغرف توفر حتى تلفزيون بشاشة مسطحة, غرفة معيشة منفصلة, اتصال لاسلكي بشبكة الإنترنت (مجاني), غرف لغير المدخنين, مكيف هواء لإرضاء أكثر الضيوف تطلبًا. يقدم الفندق مجموعة واسعة من وسائل الراحة المتنوعة، كمثل: مسار جولف - ضمن 3 كم. 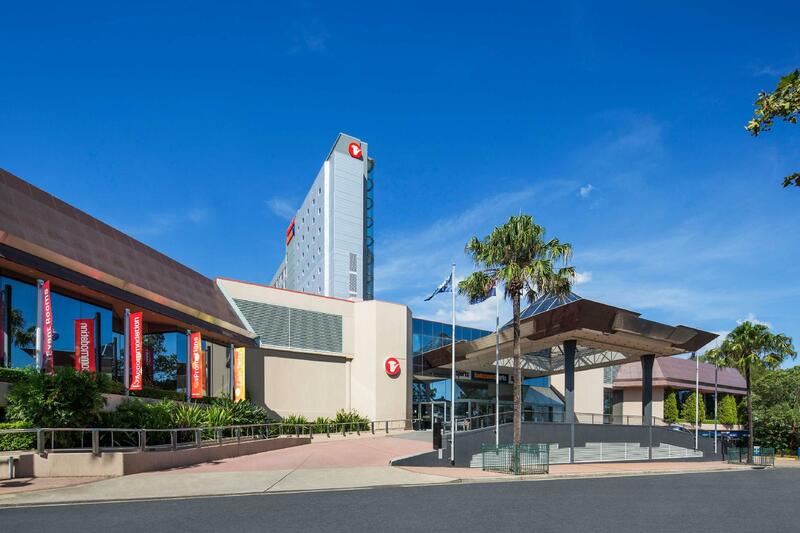 مهما كانت أسبابك لزيارة المدينة، فإن Travelodge Hotel Bankstown Sydney هو الخيار الأفضل لإقامة مثيرة وممتعة. Great restaurant options and lovely helpful staff. The big bonus is the location ( 3-5 min walk to train station with direct trains to centre. Not to mention great lebanese and turkish eateries nearby. I rate this hotel and sports complex highly. The rooms were very clean and comfortable and the meal and entertainment within this complex are excellent. An added bonus is that there is free parking, a bit of a rarity in Sydney these days. I will definitely stay there again. Pleasant 2 night stay here. The staff are very welcoming and willing to do anything to make your stay comfortable. The room appeared very clean, beds were a little on the firm side but that’s just personal preference. Plenty of parking underneath, and it’s located in a giant sports club that feels like you’ve stepped into a mini Las Vegas casino. The area has plenty of food to eat, but 90% is Vietnamese food, which is delicious anyway! Pleased with my stay here and would happily return. We stayed here for 5 nights during our wedding reception in Sydney (restaurant is in the area). Stay here if you want access to amazing food not just downstairs from your room, but walking distance as well. Travelodge doesn't pretend to be something it's not. It's honest about what it offers and the staff are well trained, friendly and professional. Highly recommend this place. I am mainly hanging around Hurstville, Bankstown and Illawong area, so the location to me was perfect. The club itself has been renovated, the rooms are of a reasonable size and they are clean. I stayed there comfortably for 6 nights. The only comment I have to make is that the water pressure from the shower is extremely low, thus it is very frustrating taking showers, let alone washing hair. But overall, good value for money and recommendable. We will stay here again and again! 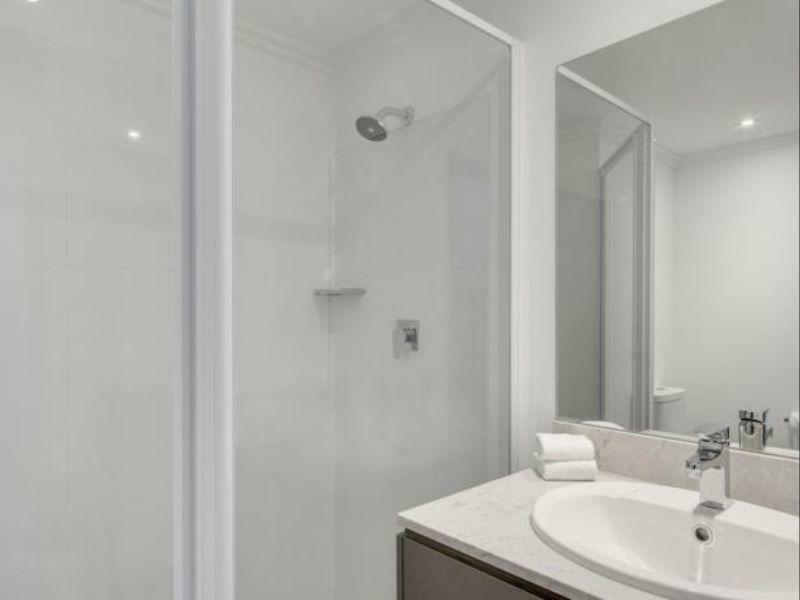 The hotel is in central location of Bankstown, it is close to everything including train station, shops, restaurantes, markets. It is recently renovated so the room is very clean and its funiture is near new. Staff is extremely professional and friendly. The staff are great and very helpful. I had an issue with my room on check-in (air con stuck on 15C and TV not working) and when I called Reception I got excellent & fast response. The Duty Manager was able to relocate me to another room. It was all done with a smile and professionalism. So I know next time I stay, if something goes wrong the staff will be there to help. good location, has a lil casino and pokies. stay away if you don’t wanna gamble ya holiday money away. Apart from that everything is ok.
great place to stay if you want a good feed and have a few drinks and kids get to play at the indoor playground and parking is free. Good location if you need to do shopping in the morning. Only thing it's missing is a pool. Stay here a few times and will stay again. Place was just perfect to me, not so far from Central and there are so many shops nearby. It's as well a walking distance from the station. Hotel room is clean/tidy, toilet is ok except for its floor which is not so clean or maybe it just look dirty because of its design. Internet connection is slow in the room but still useful though, quite fast at the reception. Overall, this hotel is just nice. a little bit troublesome where u need to access to hotel room via sports club lift. lift service to/from car park is probably one of the slower one i have ever been.. please use staircase instead. can be a little bit annoying when you need to keep validating your parking tickets (tried the pre-validated 3 days ticket but doesn't work).. apart from above, everything else seems to be quite reasonable for the price quoted, spacious and clean room..
What a gem this hotel/sports club turned out to be. So large and lovely with fantastic themes running through the restaurant. Sandra, our waitperson at dinner in the mock up of a train dining room car, was delightful. The food excellent and the room very clean and comfortable. We only had ONE hiccup and that was booking our room through Priceline. Several times I went through the booking process, each of the 3 times I tried my credit card was rejected and I was notified quite a lot later the booking was cancelled. I'd finally had enough of what was going on so phoned the Agoda customer service line the next morning when I found out my last attempt had been cancelled after 10pm that same evening. I told Farah, the service person I was connected with I knew it wasn't possible for my card to be rejected. She got onto my booking attempts and I rebooked through her HOWEVER the tariff had changed from $179 (which included breakfast) to $192 (excluding breakfast). As my wife, who was celebrating her birthday, and I were taking this opportunity to catch up with our son who was staying in Bankstown at this hotel we accepted. Farah assured me we would be repaid the difference between our original booking and the amount we eventually paid however breakfast would still be included only if we paid an extra $18 pp directly to the hotel. I believe the package we originally selected was no longer available at the time we booked as I'd noticed any cancellation had to be made on April 4 and I was taking the Priceline package up on April 7, well after the cancellation date. I did advise the hotel of the nuisance I'd encountered and was told others had also found their experience to be similar to ours. We will be going back to the Travelodge Bankstown however we won't be booking through Priceline or Agoda again.